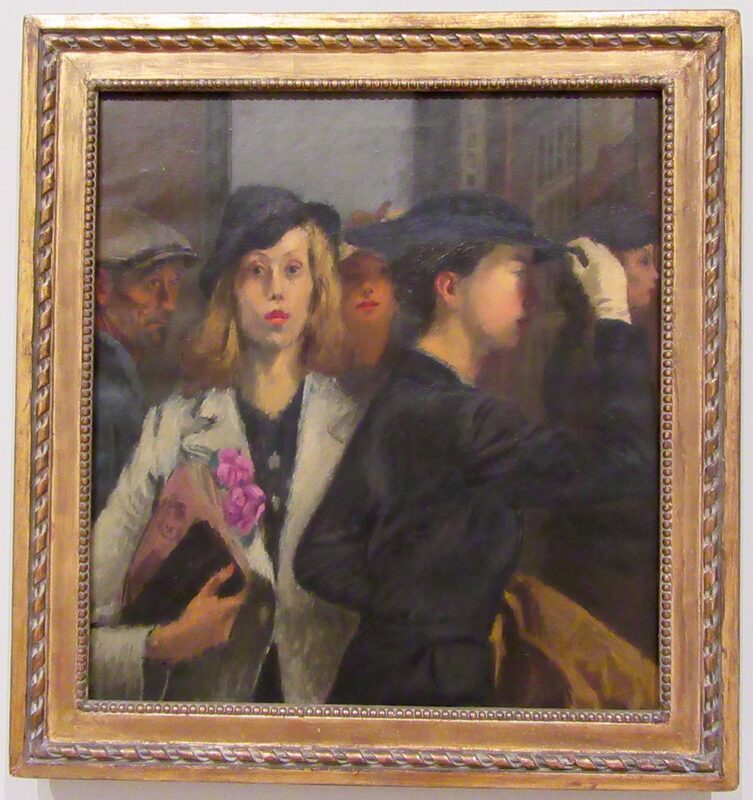 As an astute observer of Depression-era New York, Raphael Soyer (1899 – 1987) evoked the inner lives on anonymous city dwellers. His paintings frequently depict the new generation of female workers that he encountered in his Union Square neighborhood. Leaving the home for secretarial and clerical jobs, these woman depicted in Office Girls (1936) achieved an independence that was unprecedented for women of the period, even while unemployment remained high among men. While his artist colleagues usually portrayed these young women in optimistic terms, Soyer’s composition strikes a more ambivalent tone. Squeezed between a throng of rushing female workers and a glowering man, the central woman looks out at the viewer with a gaze that is at once weary and unflinching. Photographed in the Whitney Museum on NYC.